Beverly Hills, Calif., August 15, 2014 – Starz Chief Executive Officer, Chris Albrecht, announced today that Starz has once again partnered with Sony Pictures Television to greenlight a second season of “Outlander,” the critically-acclaimed original series adapted from Diana Gabaldon’s international bestselling books. Season two will be at least 13-episodes and based upon the second of eight books in the Outlander series, entitled Dragonfly in Amber. 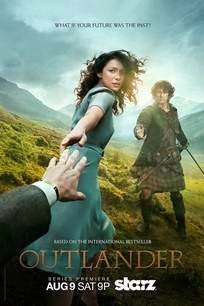 The first 16-episode season of “Outlander,” filmed on location in Scotland, debuted on August 9th, 2014 at 9pm PT/ET, with the first episode setting multiplatform viewing records, surpassing 5 million views in the first week alone, drawing equal male and female viewership (**SOURCE: Starz internal data and Nielsen audience figures as of 8/14/14). Additionally, the series premiere marked a notable media and social media success for the network, with fans hosting viewing parties around the country. It was No. 1 in Nielsen Ratings for Twitter conversation volume among all television series on premiere day, trended twice at No. 2 in U.S. Twitter Trends (**SOURCE: Sysomos). "The overwhelming support ‘Outlander’ has received from the fans, viewers and critics made the decision for us to go ahead with the second book a very easy one. Diana Gabaldon has given us years of great drama. With an incredible artist such as Ronald D. Moore at the helm and a cast as spectacular as this, we look forward to continue this spell-binding journey with Claire, Jamie, Frank, Brianna, Roger and everybody over the centuries,” said Albrecht. The series adaptation for “Outlander” was developed by Ronald D. Moore (“Star Trek: Deep Space Nine,” “Star Trek: The Next Generation”). Moore is best known for his work on “Battlestar Galactica,” which won him a Peabody Award in 2006. Ronald D. Moore and Jim Kohlberg are executive producers of “Outlander,” which is produced by Tall Ship Productions, Story Mining and Supply Company and Left Bank Productions in association with Sony Pictures Television. Diana Gabaldon’s eight-book series has sold more than 20 million copies and has graced the New York Times Best Sellers list six times. The “Outlander” series spans the genres of romance, science fiction, history, and adventure in one grandiose tale. It follows the story of Claire Randall, a married combat nurse from 1945 who is mysteriously swept back in time to 1743, where she is immediately thrown into an unknown world where her life is threatened. When she is forced to marry Jamie Fraser, a chivalrous and romantic young Scottish warrior, a passionate affair is ignited that tears Claire’s heart between two vastly different men in two irreconcilable lives.